What is Compost tea and Why is it So Good for the Soil? 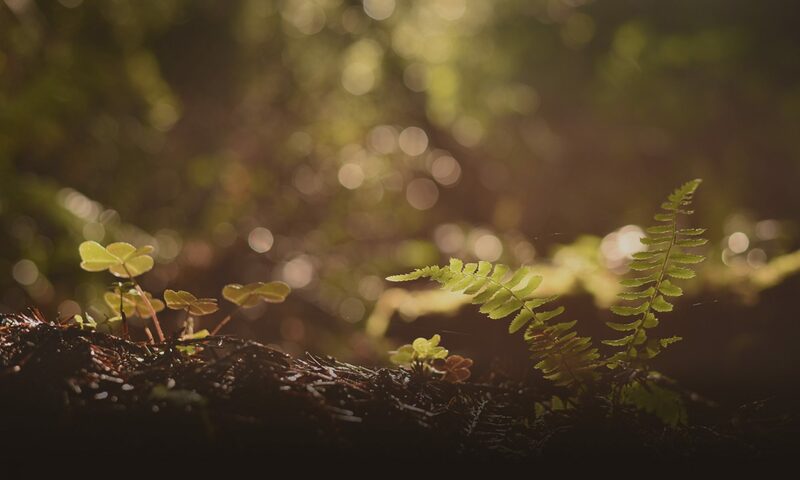 On December 12 2018, Regeneration Canada launched its first interactive webinar: Understanding and Succeeding with Compost, kicking off the series with an engaging discussion about compost featuring two soil experts as panelists, Francis Madore and Vivian Kaloxilos. 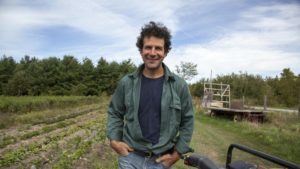 Francis Madore is the owner and operator of Les Jardins d’Ambroisie, a seven acre family farm located just south of Montreal in Saint-Chrysostome. Francis grows certified organic vegetables, as well as some herbs and fruits, which are then sold through community supported agriculture (CSA) shares on the island of Montreal and at a couple of farmers markets. He uses a host of regenerative practices on his farm, including minimal soil tillage, as well as mulching, cover cropping, and shallow, manual weeding. To learn more about Francis and his farm, check out our blog post. 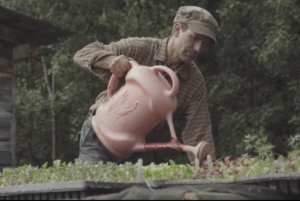 Francis was also featured in the first episode of our web series Soil Guardians. In this webinar, he discusses how he utilizes compost tea and vermicompost. Francis shares how he got into using compost tea in 2015, after having been inspired by a compelling presentation by microbiologist Dr. Elaine Ingham, who has been championing the fact that soil is a living universe and the basis of all fertility. He was intrigued by the notion that in using compost tea he would no longer need to worry about rotating crops, and that it would significantly reduce if not eliminate pests, diseases, and weeds. To make his compost tea, Francis starts by making high quality vermicompost using hardwood sawdust, plant matter, and dried leaves. 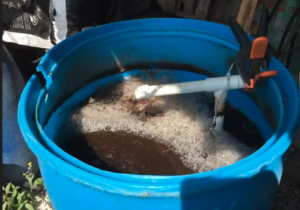 He constructed a compost tea brewer that can hold 200 liters of compost and that uses a strong EcoPlus pump. He puts a small amount of vermicompost into the large brewer, fills it with water, adds some nutrients to feed the microbes, and within only 24-48 hours of aeration, he’s got a large quantity of compost tea teeming with a diverse array of healthy and happy microorganisms. He then uses this compost tea on all his seedlings, as well as on his cultivated fields. Vivian Kaloxilos is the owner and principal consultant for DocTerre, an affiliated Soil Food Web Inc. laboratory and consultation service based in Quebec. 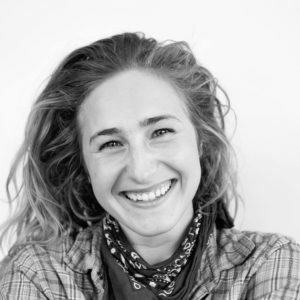 She studied Environmental Sciences at McGill University, where her passion for finding concrete solutions for the environmental and food crises plaguing our planet was initially ignited. Vivian later studied with Dr. Elaine Ingham of the Soil Food Web Inc. to further complete her understanding of soil ecology, the microbiology regeneration of the soil, and the production of high quality compost. She has since founded DocTerre, and continues to work closely with Dr. Ingham and other certified soil consultants. In this webinar, Vivian discusses why we should use compost. She explains how compost tea is a very effective way of reintroducing the biology into our agricultural systems. 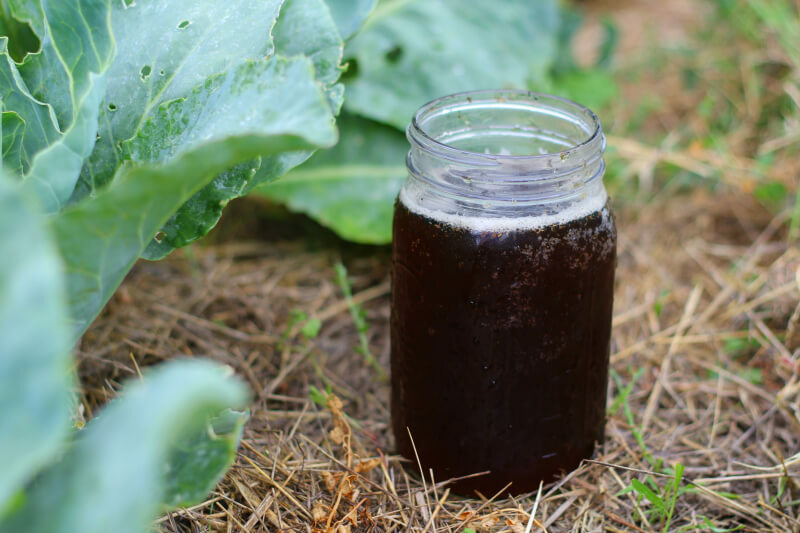 By feeding the microbes in the brewing of the compost tea, they become active and so will adhere to the plant and protect it when foliar sprayed. Vivian describes how, for many reasons, making your own compost is always a great idea, especially since the very microbes that one’s soil is lacking are often already present within the system and simply need the right conditions to be reawakened so that as to allow them to offer their ecological functions. In referencing Francis’ work, she describes how vermicompost is a great option for a market gardener, whereas for berry farms and orchards, it’s better to follow either Michael Phillips’ or Dr. Ingham’s style of compost-making, or Johnson-Su’s Compost Bioreactor. Finally, here are a few of the questions and answers that concluded the webinar. Q: Where can we find more information? Where can we learn the basics of microscopy? A: The book “Teaming with Microbes: The Organic Gardener’s Guide to the Soil Food Web” by Jeff Lowenfels & Wayne Lewis, which is also available in French. Also the network of Dr. Elaine Ingham, as well as DocTerre. Vivian often coaches people in compost and microscopy. The website Microbe Organics, is of great help for identification. As for microscopes, getting one that is capable of 400x magnification and that has a condenser lens will allow for the identification of many things. Q: Is it a problem to dilute compost tea with irrigation water? A: You could make your compost tea with that water to get the microbes habituated. At the same time, you definitely don’t want to use water with chlorine since it’s antimicrobial. But well water is fine so long as there’s no microbial contamination. You also want to be sure that you choose a filter that is big enough to allow the biggest soil organisms, the nematodes, to pass through, so filters that are at least 400 by 400 micrometers. Q: Is foliar spraying of compost tea recommended, or do most microorganisms die in the absence of soil? A: No, the microorganisms don’t die and are found throughout the surface of the plants. But, it’s important not to use too high of a pressure (psi) when applying foliar spray so that the microbes aren’t hurled towards the plant and killed or damaged in the process! Additionally, it’s best to foliar spray at the end of the day when it’s cooler and the sun is lower in the sky. To stay tuned for our next webinars, join the movement by becoming a member or sign up to our newsletter!